Drones have been on my radar, but not to the extent witnessed at the Opening Ceremonies of the 2018 Winter Olympics in South Korea. 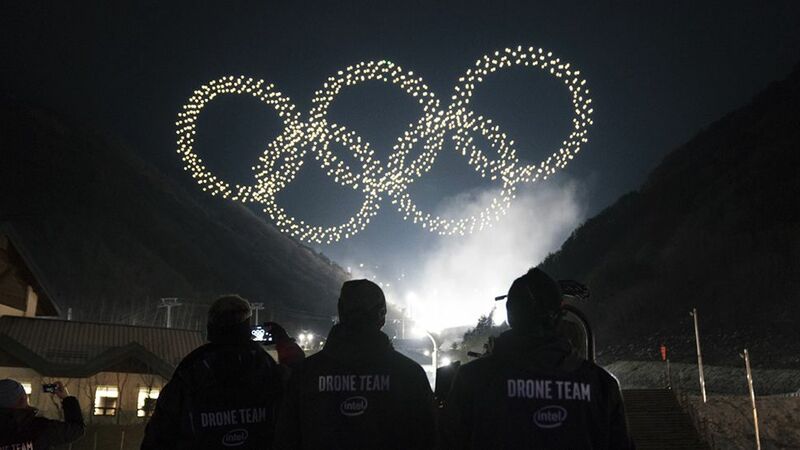 I watched incredulously as hundreds of drones lit up the sky in the formation of the Olympic Rings. I marveled at how technology has advanced so rapidly and added to the entertainment value of big events. But a drone is just a drone. The individuals in charge of programming and executing the ‘drone show’ must have derived a great deal of satisfaction from the display they orchestrated. Countless hours of preparation were surely spent applying problem-solving, technical, and creative thinking skills to pull off a feat of such magnitude. With the revised BC Curriculum, our education system is keeping pace with change by providing a wide range of course options where students can develop coding skills, explore 3D printing, engage in Robotics, and use laser cutters. I recently popped into Mr. Henning’s classroom at lunch to see a young student staring at the laser cutter in action. Without taking his eyes off the machine, he uttered, “It’s so cool to see my design being cut.” And it was certainly cool for me to see how this student was mesmerized with the process. Teachers are providing amazing opportunities for our students who are taking their learning to a new level. Undoubtedly in a few years schools will be offering newly developed courses to align with the technological advancements that are on the horizon. 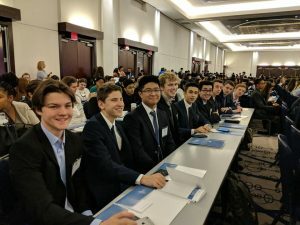 However, alongside all the exciting innovation happening at Rockridge we must never lose sight of the importance of fostering leadership skills that are needed in the creation of products, to achieve a unique event, or to affect change. Leadership skills are vitally integral to producing ‘educated citizens’ and continue to be the ‘constant’ amidst all the changes we are experiencing. In my brief time at Rockridge, I have seen a focus on leadership development in not only the courses offered (e.g., Mr. Harding’s Leadership 11/12 course), but in the variety of clubs that convene outside of instructional time. Here is a snapshot of two such opportunities for students. 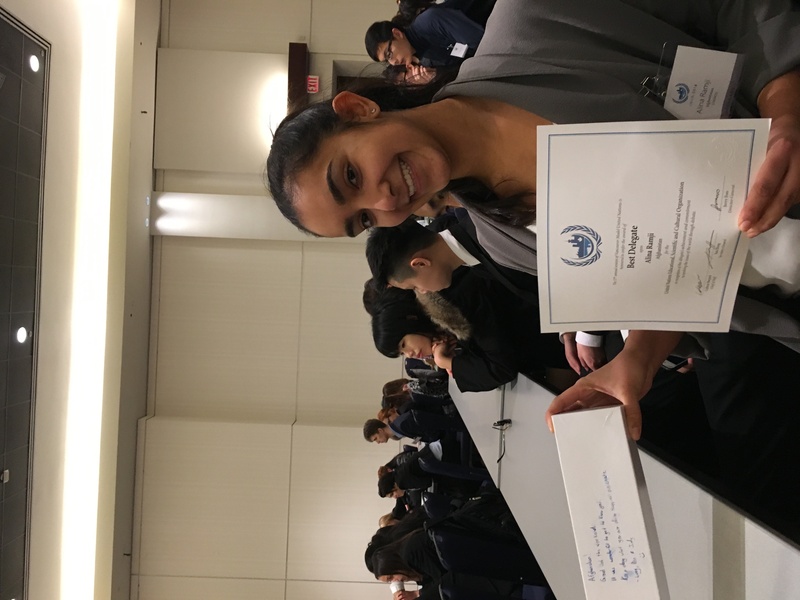 Grade 11 Rockridge student Alina was named Best Delegate and her classmate Connor received Honorable Mention at the Conference. 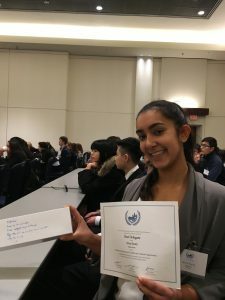 Alina proudly shared some thoughts on her experiences in the Model UN Club. We recently received news that Grade 10 student Fallon was accepted into the program, “Forum for Young Canadians” which is held in Ottawa. Participants gain insights into federal politics and have a chance to meet parliamentarians, be a part of a full Election Simulation, and connect with other engaged young leaders. Congratulations to Fallon on this amazing opportunity. 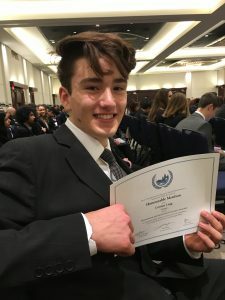 With experiences like this, our school leaders may one day be effective community or global leaders making decisions for the betterment of society. 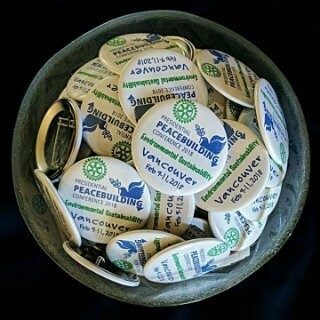 During the Executive meetings, I am impressed by the maturity demonstrated by these students as they weigh the pros and cons of proposed fundraising ideas, share thoughts on marketing strategies, delegate tasks, connect with leaders in the community, document meeting minutes and follow up on action items from previous meetings. Not only are they developing valuable leadership skills, they are becoming more globally-minded, caring citizens. Teachers are providing a myriad of opportunities to engage students with different pursuits, offering their time and expertise to support valuable skill development. Whether they are working on their technical skills or debating skills, they are developing their leadership capacity and learning how to collaborate, communicate, and transfer their learning to a variety of contexts. What determines the success of a display of technological brilliance or a debate on world issues, is in part, attributable to an individual’s prior experiences. I’d like to think Rockridge plays a significant role in shaping students’ futures. Anonymous on Rockridge’s Second Annual Career Expo By Grade 11 Student, Daphne B.